Over the past ten years, the The Chronicle of Higher Education has recognized that University of Mississippi has consistently been selected as one of the Top 10 Great Colleges to Work For among colleges with more than 10,000 students! You may search for current positions available and complete applications online at careers.olemiss.edu. Please review the list of “Frequently Asked Questions” to assist with any technical questions or difficulties you may have while completing your application. No Computer? No problem. The site is mobile friendly, use your smartphone. The WIN Job Center can assist you and the office has parking available. Visit your local WIN Job Center. The Recruitment office is generally available to respond to questions from 8:00AM to 5:00PM, Monday – Friday. Members of the Human Resources, specifically the Recruitment team, do not have any additional information about the status of an application. Applicants should refer to the status of the application the using the online account. The hiring process is handled by the hiring department. We do not have any information regarding the status of your application or the process. Unfortunately, we are unable to provide any information. Please note: We enthusiastically respond to questions and whistle while we work during the work day. Our staff does not respond to emails at night or on weekends. 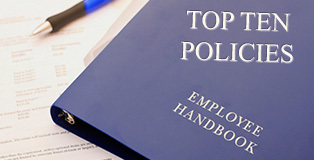 Pre-employment background checks are mandatory for final candidates for both staff and faculty employment. Complete policy. UM employs only U.S. citizens and lawfully authorized resident and non-resident aliens. All new employees (staff, faculty, and students) must provide employment eligibility verification within their first three days of employment as required by the U.S. Immigration and Naturalization Service. Review the List of acceptable, original documents used to verify employment eligibility on page 5. Are you an employer looking to post or advertise a position? Off-campus employers or businesses interested in recruiting students for part-time, summer, or full-time positions may contact the University’s Career Center. For more information please contact the Recruitment Team at 662-915-1518.